Andre Villas-Boas’ start to his Chelsea career has been somewhat understated, but the Portuguese faces a stern test of his man management skills over the next 24 hours. Fernando Torres will be forced to explain comments he made to Spain’s Premier Liga website last week in which he has been quoted as saying Chelsea players are “very slow”. The striker is yet to find the next for Chelsea this season and with just one goal in 18 appearances for the club, his £50m move from Liverpool is under scrutiny once again. “If it was unauthorised, I’d fine him, of course. Anyhow, it’s one player’s perspective. Torres is 6/1 to play no part in Chelsea’s Champions League tie at home to Bayer Leverkusen tomorrow and with ongoing investigations combined with Daniel Sturrige’s goal at the weekend, it would be no surprise to see the striker dropped. Many believe that Villas-Boas has inherited a team of prima donnas at Chelsea and this opportunity with Torres would allow the manager to send out a clear signal to his squad. On current form Torres doesn’t warrant a place in the team and Sturridge continues to take advantage of the chances he has been handed. It will be interesting to see just which route Villas-Boas takes and if he decides to drop Torres, Chelsea fans should be buoyed by the fact they have a manager willing to take control of the dressing room. 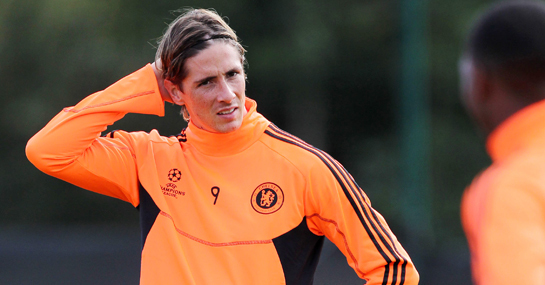 The odds suggest Torres will start tomorrow – he is 4/6 to do so while 11/10 not to – and the striker is 9/2 to come off the bench and score. Chelsea are expected to win at 4/9 to beat the German side and with home advantage, it may be the right time to give Daniel Sturridge some first team experience.